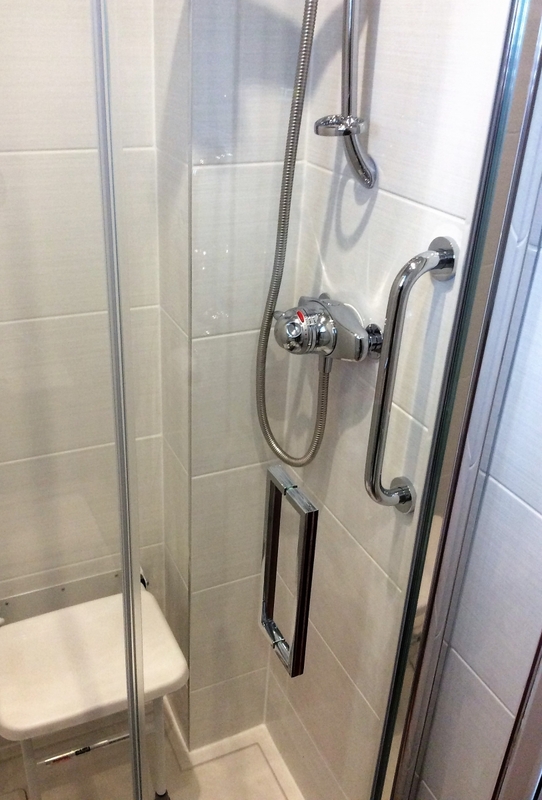 For over 15 years we have been carrying out work to alter existing bathrooms to make them better suited to the needs of elderly or disabled customers. As our lives change so do the demands put on our home. Barclay Erskine Ltd are experts at making the most of the bathroom to allow you to stay at home. A bath is wonderful and relaxing, unless you struggle to get in or our of it. A simple solution is to remove the bath and install a shower tray with a seat and grab bars, all can be done in a couple of days and wet wall boards can be fitted to the area to make it easier to clean and maintain. A full wet floor bathroom may be better suited to your needs and whilst this is a larger project to undertake, we know customers who opt for this see immediate and lasting improvments to their quality of life. We have carried out hundreds of bathroom adaptations for housing associations and local authorities as well as for private house holders. If you are interested, please contact us to arrange a visit to your home so that we can discuss your requirements and provide a quote for the best solution.